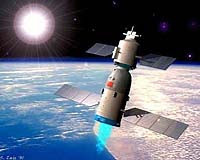 China is to launch its first unmanned space module, Tiangong-1, or Heavenly Palace, in the second half of 2011, serving as a platform for spacecraft to rendezvous and dock - allowing for the building of the space station. 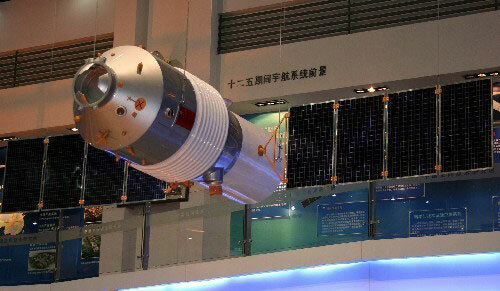 China plans to have its own space station before 2020. The 8.5-ton Tiangong-1, or Heavenly Palace-1, is slated to blast off on top of a Long March 2F carrier rocket in the second half of this year. The space module, which is now undergoing tests, will first be the target of an unmanned docking by the Shenzhou VIII spacecraft, which will be launched after Tiangong-1 later this year. Last year, the second manned spaceship, Shenzhou 6, was launched and completed a five-day flight with two astronauts carrying out space-based experiments.